Dr Dave Webber presents his contribution in The Conversation from 27 April 2016 originally poster here. The Hillsborough disaster of April 1989 shook British football to its core, but such was the terrible state of Britain’s decrepit, overcrowded, poorly policed terraces that many fans had long predicted such a disaster would unfold. But even after the fire at Bradford City’s ground in 1985, whenever such fears were raised they were given short shrift. Prior to the semi-final at which 96 of his club’s fans died, Liverpool’s own chief executive, Peter Robinson, contacted the Football Association asking them not to locate the Liverpool supporters in the much smaller Leppings Lane End . If he was ignored, what chance did ordinary fans have in articulating their concerns? The authorities were animated more by the spectre of hooliganism – and this loomed large in attitudes towards football fans. Supporters were not to be listened to but to be controlled. The sins of the few meant that football fans were collectively caged like animals in creaking, crumbling pens surrounded by perimeter fencing. For those charged with managing games, law and order were far more important than the welfare of supporters. Even in the aftermath of the Hillsborough disaster, the narrative of hooliganism and “drunk, ticketless fans” provided the police with a convenient if fraudulent alibi to cover up their own incompetence and wilful neglect of human life. It was a deceitful lie repeated with glee by certain parts of the tabloid media. The public inquiry into Hillsborough led to the publication of the Taylor Report in 1990. Although this went some way towards clearing the Liverpool supporters of blame, pressure applied by the then prime minister, Margaret Thatcher, saw the final version shorn of any criticism of the police. Taylor instead focused upon Britain’s decaying terraces, ordering that they be modernised and transformed into all-seater stadiums, and for the 27 years that the truth remained buried, the authorities believed that the Taylor Report contained all the lessons that needed to be learnt. Now, the 14 landmark verdicts delivered at the Hillsborough inquest – including one declaring the 96 deaths unlawful killings and another exonerating the behaviour of the Liverpool fans – not only vindicate the families’ struggle for justice but also reveal the limitations of Lord Taylor’s original inquiry. Taylor was right, of course, to absolve the Liverpool fans of any blame and he was right to criticise those who sought to pin culpability for the disaster upon anyone other than those responsible for the fans’ safety. But Taylor stopped short of properly holding to account those who had neglected their public and legal duty of care. By emphasising the need for all-seater stadiums, Taylor’s recommendations unwittingly supported the narrative that the fans were to blame. 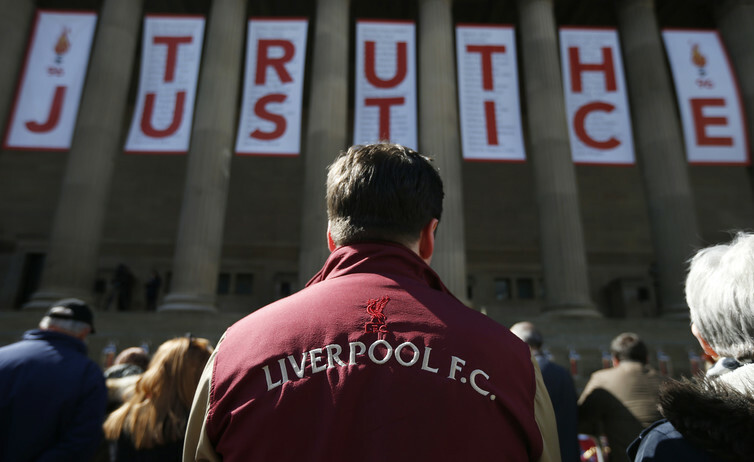 Football has undergone a radical, much-needed transformation in the decades since Hillsborough. Futuristic, space-aged stadiums have replaced the pre-war relics that existed at the time of the disaster, providing fans with comfort, albeit for a considerably higher price. Yet supporters are still frequently subject to draconian measures designed to curb and control their movements and behaviour – measures that stem from the same attitudes that the inquests found had been partly responsible for failures before, during and after the disaster. Now is the time to challenge these deep-seated attitudes – most of all the issue of standing terraces and drinking alcohol in football grounds. 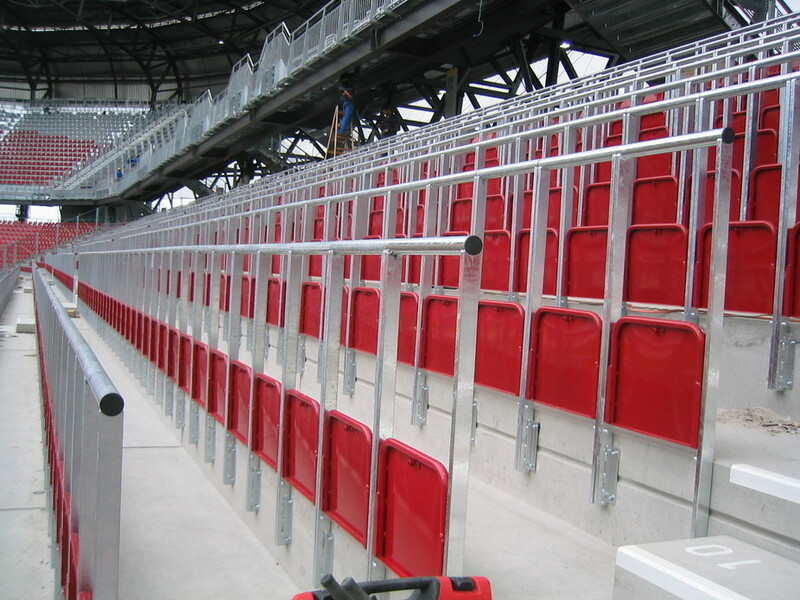 So far football authorities, in England at least, have been taciturn over the introduction of “safe standing” areas. Rejected principally out of respect for those who died, modern safe standing does not mean a return to the dark days of the huge, crumbling terraces and the lethal perimeter fences that penned supporters in like cattle. It involves a safety barrier on every row and rail seats that can be bolted upright to allow spectators to stand safely, without the threat of crushing and overcrowding. Where this technology has been introduced in Germany, Sweden and Austria, it has been shown to be a safer alternative to the all-seater stadiums recommended by Lord Taylor and now found throughout the UK. Perversely, given the lessons of Hillsborough, this reticence to engage in constructive dialogue with fans over the issue suggests a continued unwillingness to prioritise crowd safety over crowd control. The same attitude is evident in the efforts to rid football of alcohol. The use of “dry trains” where the drinking of alcohol is forbidden between certain stations, and the continued ban on the consumption of alcohol “within sight of the pitch” on match days implicitly fuels the myth that drink was a contributory factor at Hillsborough. There is little evidence to suggest football’s illogical approach to alcohol actually has any effect upon violence. Relaxing the regulations concerning drinking during matches, as at other sporting events, would address the discrimination that football fans continue to face and, crucially will help erase the pernicious lie that was spun following Hillsborough. These new verdicts finally deliver what the families and survivors of Britain’s worst sporting disaster always knew: that their loved ones were unlawfully killed, that the behaviour of those who survived was beyond reproach and that a cover-up ensued to protect those who had failed in their duty of care. Britain and the rest of football owes them a debt of gratitude for their tireless campaign. But their challenge to the attitudes of those who govern the game and society must be taken further, to change the narrative that hindered the families’ struggle for the truth – only that will deliver a lasting justice for the 96.